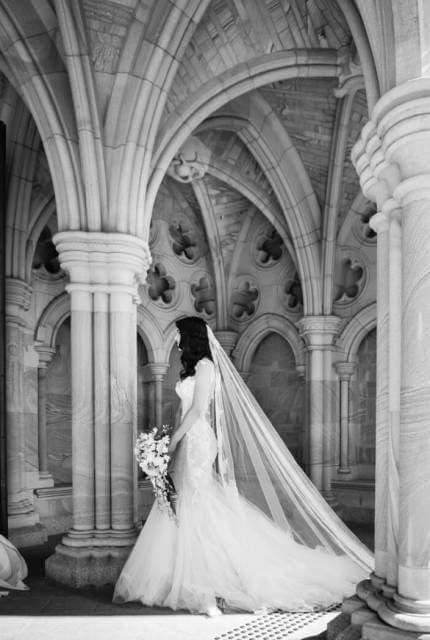 This stunning dress was designed by Brisbane couture duo Margaret and Michelle of MXM Couture for my wedding day on 17 February, 2016. 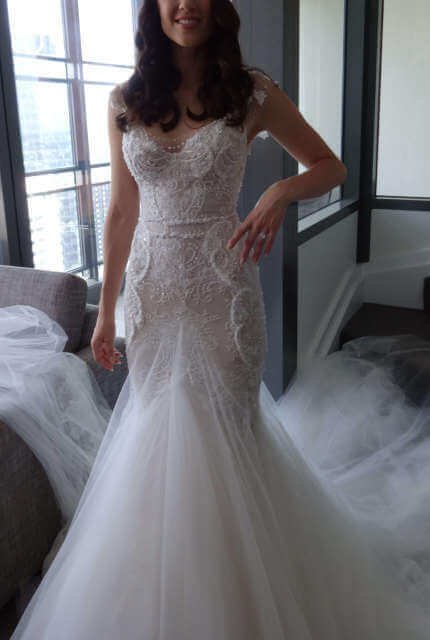 I consulted with Margaret and Michelle for 8 months over the design and it turned out even more beautiful than I could have hoped and it pictures flawlessly. I felt like a goddess wearing this dress and I hope that someone else gets the chance to feel the same as I did, it is far to beautiful to be hung up in my closet with limited space. 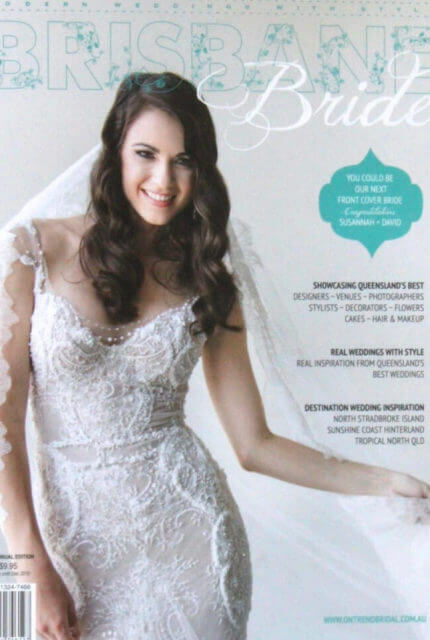 This dress has been featured in Brisbane bride magazine (as seen in the cover photo). 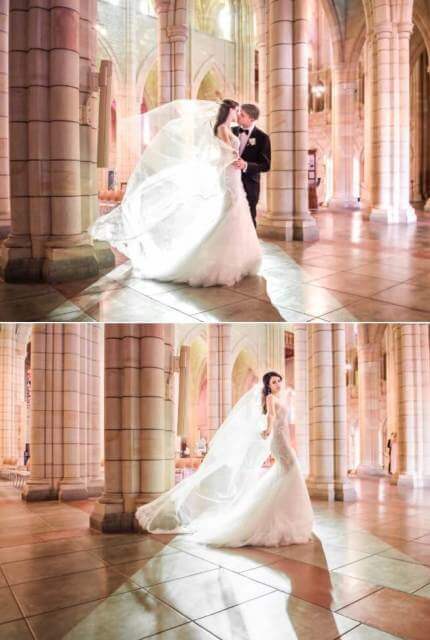 This is a beautiful one of a kind designer wedding gown. It has been made to an extremely high standard and has been hand sewn with care. It is made of light-weight French lace, with exquisite pearl/crystal detail and Chantilly Italian lace trim. The dress has a beautiful soft blush undertone with an ivory overlay. The material stretches to mold to the body, therefore is very comfortable and would be suitable for a variety of body shapes. The dress would be best suited to someone who is a size 8, with a B-C sized bust. The straps may easily be removed/altered to accommodate different bust shapes and the hip can be let out to suit up to a size 10. Depending on desired heel height the dress may be suitable for someone who is 175+cm tall (I am 175cm and wore extra tall Valentino heel). Or could get hem taken up if needed. The dress has been freshly dry cleaned which cost $500. The dress has been well looked after and remains in impeccable condition. It has been professionally dry cleaned and has not sustained any damage. I understand that the starting price for an MxM Couture gown as of January 2016 is $8,500+. If you are interested in the dress please contact me. 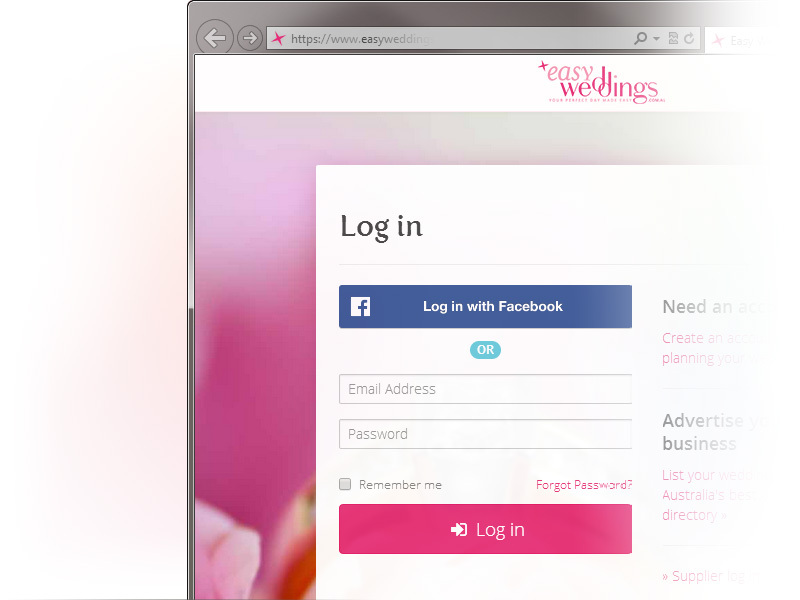 Best of luck in hunt of your dream dress!